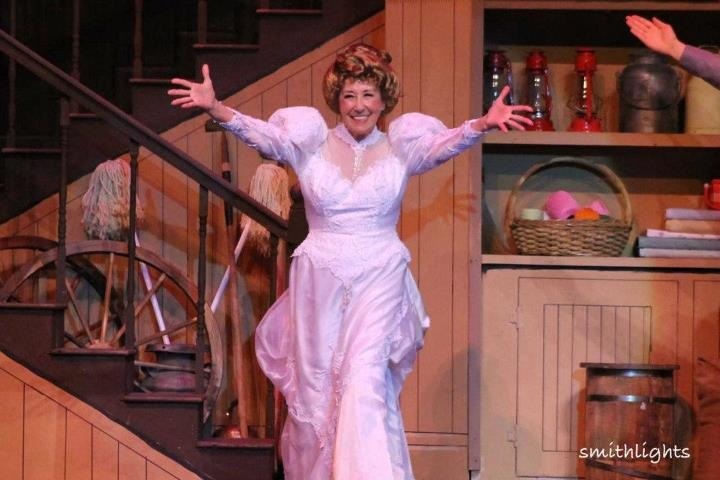 Ellen Travolta - Call on Dolly! 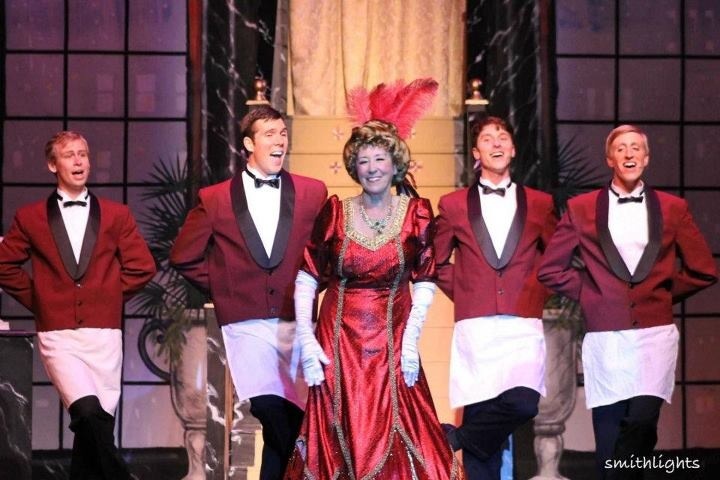 Dolly Levi was back in Coeur d’Alene in the summer of 2012 after a ten year absence, and it was brought back by Ellen Travolta who brought her there in the first place. 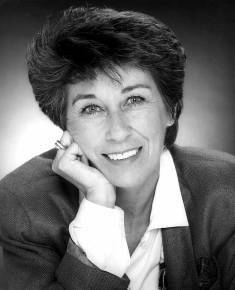 Ellen Travolta is the eldest sibling of John Travolta and is probably best known for her portrayal of Louisa Arcola Delvecchio, the mother of Chachi Arcola (Scott Baio) in the 1950s-based sitcom Happy Days, and unsuccessful spinoff, Joanie Loves Chachi. She also played the mother of Baio’s character on Charles in Charge from 1987 to 1990. 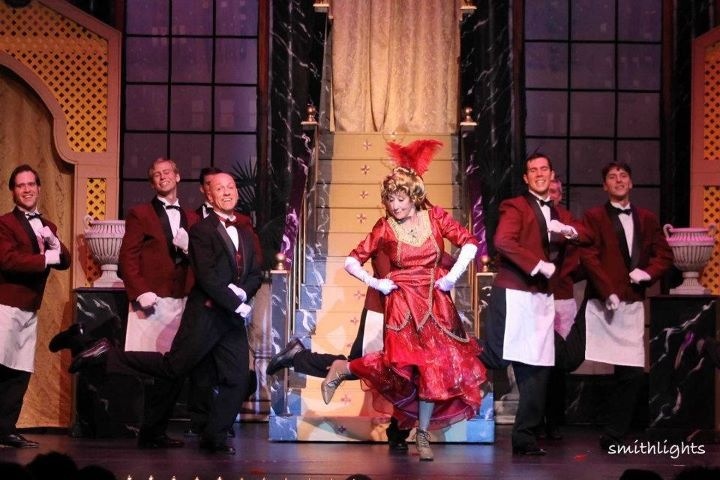 But for our purposes, we are focusing on two productions of Hello, Dolly in which she starred as Dolly Levi! Around 1989, Ellen Travolta and her husband were both still doing television but were thinking about retiring from the business and were looking for a summer home. They heard about Coeur d’Alene Idaho through Daniel Baldwin. He had guested on Charles in Charles. 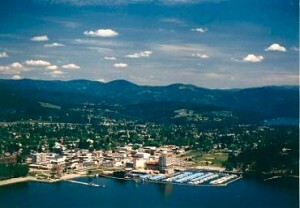 After Daniel had given Coeur d’Alene a big build up, Ellen went home and told Jack they had to check it out. She had a hiatus coming up the following week. They flew up and fell in love with the area. There is a beautiful park on the lake and they were strolling through. They get stopped by two people who recognize them from television. They wanted to know why Ellen and Jack were in Coeur d’Alene. Ellen told them they were looking for a home. They then asked Ellen and Jack if they wanted to be in a play! Ellen asked what play. They didn’t know they were going to move there yet. She was still doing Charles in Charge. They were then told that the new season of the Coeur d’ Alene Summer Theater was going to be opening the next season with Company. Ellen and Jack thought about it and opened that summer’s season in 1990. They didn’t actually move there till ’94. Until then, they would go up in the summer and do shows. Company was the very first show at this theater and Ellen and Jack have been a major part of the building of this summer theater from the beginning at this location. Artistic director Roger Welch came on board in 1994. He was in his early twenties. Ellen and Jack are very proud of this theater. It is Broadway in their own backyard. Actors are brought in from New York. The caliber is high. It is an amazing theater. Ellen and her husband semi retired to Coeur d’Alene Idaho. 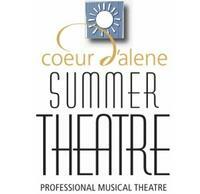 Ellen got involved with the Coeur d’Alene summer theater. 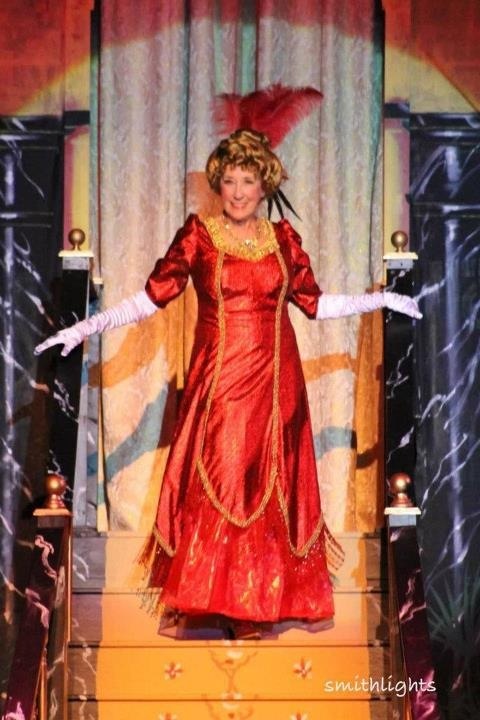 Artistic director, Roger Welch, approached her and asked her how she felt about doing Hello, Dolly! An interesting choice because Ellen IS Dolly in her soul. She looked at Roger and asked, “Why would you want me as Dolly?” She didn’t get why he was asking her at all. She agreed to look into it and ended up doing it. She loved doing it. She had an absolute wonderful time playing opposite her husband. This was in 2000. Time went on and they were all sitting around talking one night. They were discussing upcoming show possibilities. Ellen, by this point had done many shows with this theater including Gypsy. She told Roger that there was only one show that she would like to do again and that was Hello, Dolly! She felt that she could do it better. She feels that Jerry Herman’s music is just incredible. When an actress gets the opportunity to play in a show like Dolly where the music and lyrics are so fine and tells the story so well, it’s a real treat. She did bring her age and wisdom to both productions. One gets wiser with time. She also brought more insight to Dolly. Her Dolly was very real. 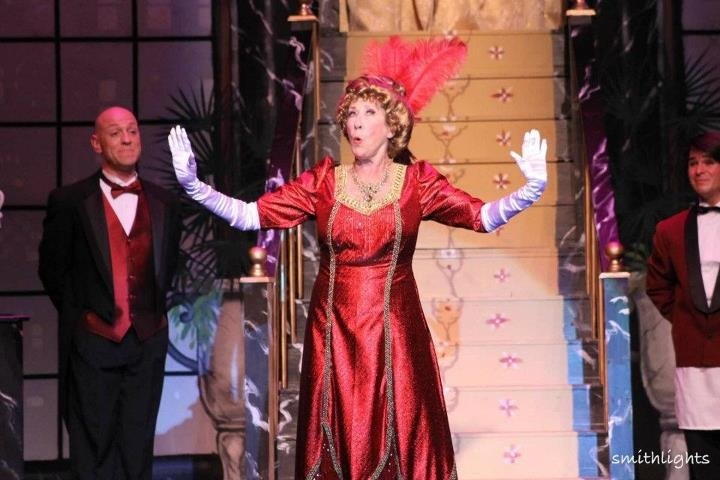 When she first appeared in Hello, Dolly in 2000, she approached Dolly first of all by reading The Matchmaker. 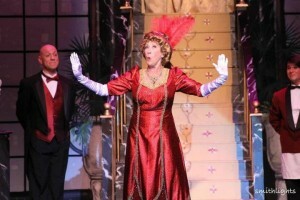 Then she read the script of Hello, Dolly! She looked at what the other characters said about her and what she said about herself. From there, she started to build a character. That is how she approaches most roles. She started working rather early on it. When theater is done as quickly as it is done at this theater, a two week rehearsal period, it pays for the artists involved to go in knowing their roles. They need to know their lines and their music. Ellen doesn’t read music. She is “old school.” She learns by listening to it. She most recently did it in the summer of 2012. She didn’t exactly approach it differently, she understood it differently. Before the Parade Passes By is much more poignant when the actress is seventy two than it was when she was sixty. There is not sadness, but rather, a connection with the realities. No matter how wonderful life is, it does pass you by. It goes very quickly and it is important to do the things one desires to do before it is too late. Because Ellen had played Dolly before, it was in the back of her head. It is stored somewhere in the brain. There were many déjà vue moments. The thing to remember always, especially after a show is running a while, is to listen. Even after doing it a while, sometimes something will be said, and you are truly HEARING it for the first time. This time around, Ellen was constantly very present. 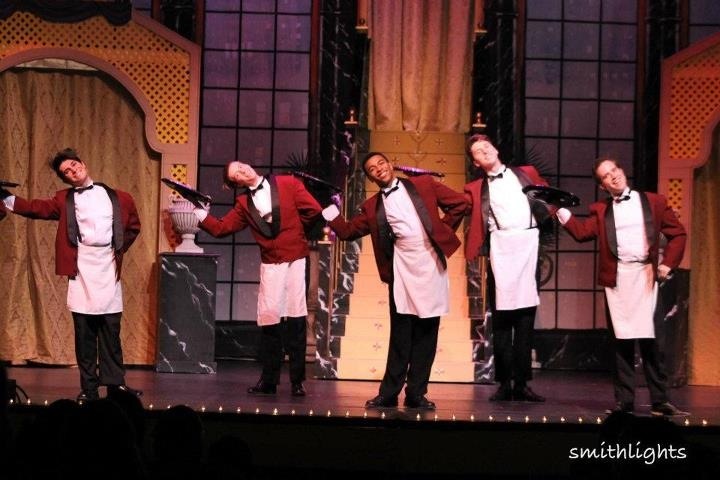 Some performers can walk through a performance after they’ve done it more than a few times. Ellen was totally there one hundred percent of the time and LISTENING to all the other players. The most fundamental thing for all actors is to listen and some don’t do that. An interesting note is that Ellen was on the road with Ethel Merman in Gypsy when she was originally offered Dolly! As has previously been reported, Merman turned it down. Ellen was a kid in the show at the time along with Alice Playten who would go on to play Ermengarde in the original Broadway company of Dolly. Ellen never saw any of the Broadway Dollys. Her only frame of reference before getting involved with Dolly was the film starring Barbra Streisand who was so YOUNG when she did it. It didn’t compute to Ellen. She had seen a production of The Matchmaker on stage. She loves the music. She certainly had heard Carol Channing sing it. Roger took Ellen to Seattle to see a production of Dolly with the idea of convincing her that she SHOULD do Dolly. It wasn’t a “name” performer. It was a small summer theater production. It wasn’t a well known theater and the production values weren’t that great but the music was great and the title song stopped the show. It always does. Ellen’s take on why that is is the boys! 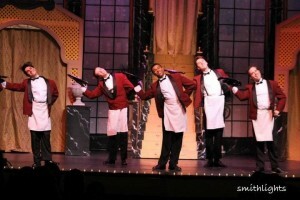 When Ellen ended up doing the show, during this number, she would always turn to face the boys upstage. Roger kept telling her that she couldn’t turn her back on the audience. In this instance, she felt that it was justified. She felt that they needed to be looked at, that the audience should be watching the “boys”. Before the Parade Passes By and So Long, Dearie are Dolly’s numbers. Hello, Dolly belongs to the boys. 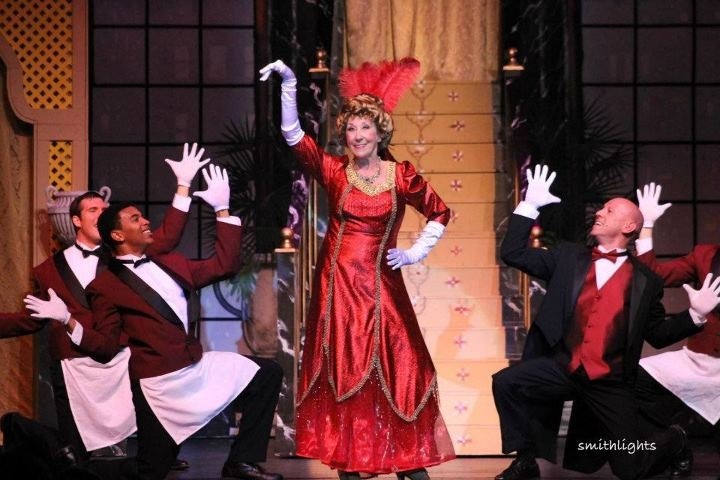 As soon as Ellen started reading Hello, Dolly and working on the music, she fell in love with it. She asked her mom if “Grandma” will be putting her hand in with God, too, when she dies! She said to Jack, “Grandpa, I can’t help noticing Grandma makes all the plans. Is that OK with you?” Jack told her that was sweet of her to ask. He is not a barn burner. It is fine that Ellen makes the plans. Prior to this interview, a group of friends were going to New York to see Roger Welch’s partner, Mark Cotter, who was appearing at The Metropolitan Room. Like Dolly, Ellen felt a strong urge to put her hand and take care of all of the details… for everybody! She desired to tell everybody what to do and how to do it. That is something deep in her DNA. Perhaps it comes from being the oldest of six children. She has an over developed sense of responsibility. When there is a challenge, she desires to fix it. It all goes with the Dolly territory. Even if something is peripheral, she somehow feels an urgency to somehow straighten it all out. Ellen has a distinction that none of the most famous Dollys have. Her leading man also happens to be her husband. Jack Bannon is a sweet man and a tender actor. He is a brilliant Horace Vandergelder, just phenomenal. His curmugedy side always touched her. Because she knows Jack so well, she treated that side of his character as a cover up. This theater is an eleven hundred seat theater. It is a big summer theater audience and they are familiar with Ellen and Jack over the years and there is a real attachment to them. It meant a lot to everyone to see them do it together just as they did in 2000. There were many performances in which Ellen cried as they danced at the end of the show. It was just there. That was her favorite moment each night. She would look into his sweet face and that was it. Ellen also had great supporting players. Irene Molloy was played by Krista Kubicek. Andrew Ware Lewis was Cornelius. Callie McKinney Cabe played Minnie Fay. It was an incredible cast and in addition to Ellen and Jack, Krista and Callie had also done it before in the 2000 production. 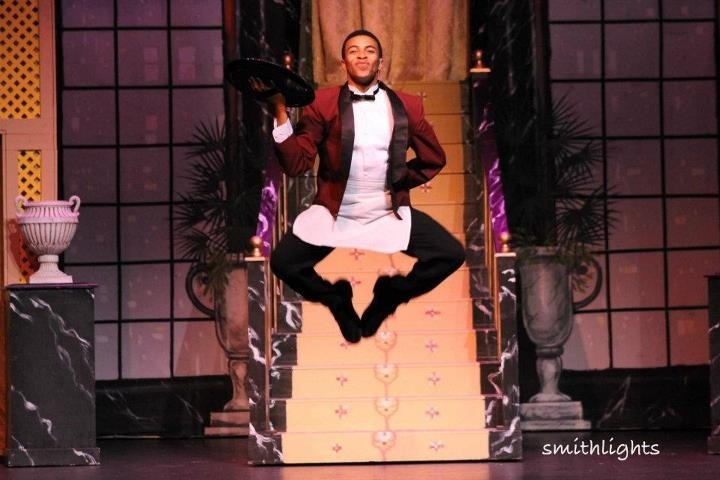 It was restaged by the same choreographer brought in from Seattle, Mike Wasileski. 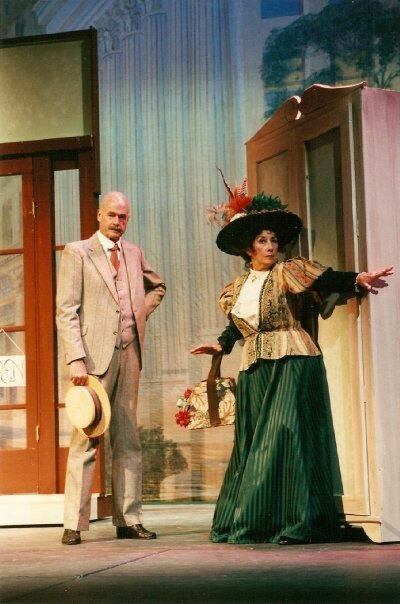 Set Design by Michael McGiveney and and costume design by Jessica Ray. Roger Welch directed. Roger is a wonderful director and a beautiful man. He has been with this theater for twenty-five years. Without a doubt, Ellen would place Hello, Dolly in the TOP FIVE shows of her career. Steven Dahlke, who was the music director for this production. He said to Ellen that Dolly is a perfect show, the script, the music, the way it evolves. There is nothing wasted. It is a perfectly balanced show with great music. During the course of rehearsals and the show, the eating scene in the Harmonia Gardens drove them crazy trying to figure out what they used ten years prior. No one could remember! They experimented with marshmallows, cotton candy, bread, and they couldn’t remember what they used the first time EVEN after watching a video of the 2000 production! She also tried researching what Channing had used and couldn’t. Every night, they used something different. She wishes that she had done way more research on this before beginning. For the record, on Broadway, the dumplings were tissue paper molded over light bulbs to give the look of dumplings. 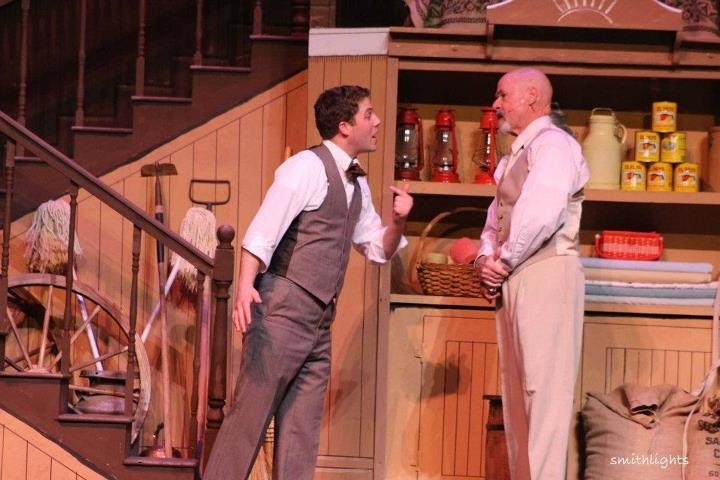 The compliments continue to flow from these productions of Dolly. People still stop her on the street. There is also a sense of melancholia at this point in Ellen’s life for the people who have passed on and life passing by. Ellen recently didn’t know many of the actors on the Emmy Awards. They are not her friends. At one time, all of her friends were at the Emmys. It was at that time that she was part of that business. It may sound plebeian and trite, but the one thing that Ellen has taken from Dolly is to try and make it all count, the days, really live them. Really go for it. Ellen is in really good health and has a lot of energy. So many of her friends are not doing well. These are constant reminders. All of these aspects are how Dolly has affected Ellen. It has also affected audiences worldwide for fifty years. Today’s audiences are more mature, age wise. That younger audience has to be found. The theater has changed. She has been told that her performance has made some women look at their husband differently. The romantic aspects of the show AND the energy aspects truly affected the audiences who saw it. One night as she was coming down the stairs in the title number, she looked down and the shoelaces of her high boots were untied and they were dangling. As she was descending the stairs, she was thinking that she had that whole number ahead of her. Fortunately, she saw it. So did the players on both sides of her! The audience wasn’t aware of this potential catastrophe. She does the number…very carefully. After the number, during the eating scene, she is directed to go upstage to where the other four players are also dining. She asked one of the actors to tie her boots while Jack was speaking. Barnaby/Jeremy tied her shoes. After the show that night, everyone told her how frightened they were for her. They were so afraid that she was going to step on those laces and tumble down the stairs. That is one time when one’s concentration is all over the place. Closing night was a family affair. Ellen’s brother, John, and his family came up for her and Jack. Ellen’s sister and daughter were also in this production. All of the Travolta family are in the business. Their sister Margaret played Mrs. Rose. The cross over between Dolly and Mrs. Rose is one of Ellen’s favorite moments in the show. It was equally poignant because they are sisters. She also played the judge in the docket scene in the second act, also terrific. Ellen’s daughter Molly Allen played Ernestina Money! They had to pad her. She is a big radio personality in Spokane. She has a number one six to ten AM drive program, Dave, Ken and Molly in the Morning. After the show, they all went out and had a late supper a la Dolly style. They all stayed at the Davenport Hotel in Spokane Washington. They drove across the state line because there was a big triathlon happening the next day in Coeur d’Alene. They knew that they had to stay. They wouldn’t be able to get back the next day anyway. It literally shuts down the city. John has seen Ellen in every show except the 2000 Dolly. He finally got to see her do in 2012 and just loved it. John is a fan of Dolly. When he was a young actor in New York, he used to “second act” Dolly all the time. He would mill around with the crowd during intermission and sneak in with them as they returned after intermission. Ellen doesn’t know if she would like to play Dolly again. She will reserve saying yes or no until that time when she is asked. At this point, she is not thinking about doing it again.